Women on a Mission: Mom Edition: V-DAY GIFTS: THOUGHTFUL AND THRIFTY! As WOMS, we spend lots of time trying to come up with the PERFECT Valentine’s Day gift for our hubby, boyfriend, or even friend. Ethne and I are in the same boat! We want our sweeties to feel special. I’ve researched, I’ve talked to other WOMS, and I have some GREAT solutions. And guess what? 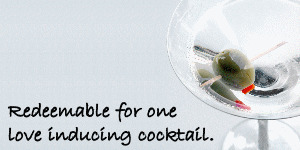 You don’t have to spend a fortune on that special someone. The thought does count! Here are 10 SPECTACULAR Ideas to consider gifting that will cost you little or nothing. 1. A home-made coupon book full of things you can do for your significant other. I will never forget the coupon book that I made for my father (20 something years later he still has it!). It is chocked full of memories—but my favorite is the “I will BRASH the dog and I will WARSH the car” (notice my awesome spelling skills!). My Dad and I still laugh about it! Here are some ideas: “Redeem for your favorite meal, redeem for a night at the movies (your pick), redeem for a back/foot rub, etc.” You get the picture. Note: go online--there are FREE templates available to make your own personalized coupon boook. One example of a FREE coupon online! SIMPLE AND THRIFTY! 2. How about a children’s book. 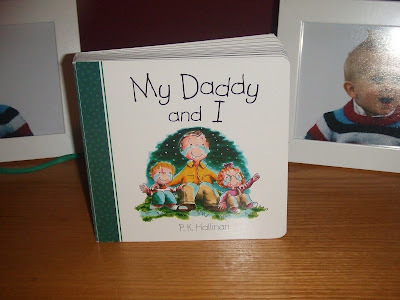 This year I purchased the book, “Dad and Me”, at TJ Max for less than $5.00. Sorry Steve—I ruined the surprise! I am going to personalize this book with a sweet message from Mur-Man (that’s right, my 1-year-old son is way ahead of the game). Steve is a WONDERFUL dad! 3. Heart potpourri drawer sachets. Now your husband or boyfriend may not LOVE these, but what a great gift for a friend. Look for a sale on potpourri and find a deal on fabric—something that is breathable. 6. Give him a mani or pedi! Why not? We all love a foot rub or nice nails! Mommy painting Easy Mac's nails pink! 7. A photo book. I don’t know about you, but as a WOM I get email deals, coupon deals, and sales on photo books daily. Sometimes you can score a photo book for FREE! Watch for sales! 8. 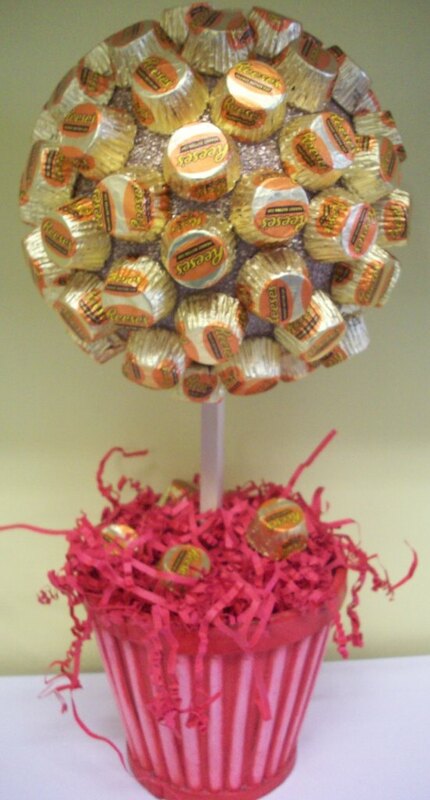 A home-made edible arrangement or candy bouquet. Did you know that you can make an edible arrangement or a candy bouquet for half (if not more) the cost! (Check future posts for instructions). Made by Lori's crafty friend Shelley! 9. A mixed tape, CD, or playlist! Ethne and I love the 80’s! One of my favorite (small town ND) high school activities was cruisin’ main listening to mixed “Ace of Base and Snoop Dog” tapes! You get the picture! Put together a mix of your favorites! 10. FUN FOOD ITEMS! 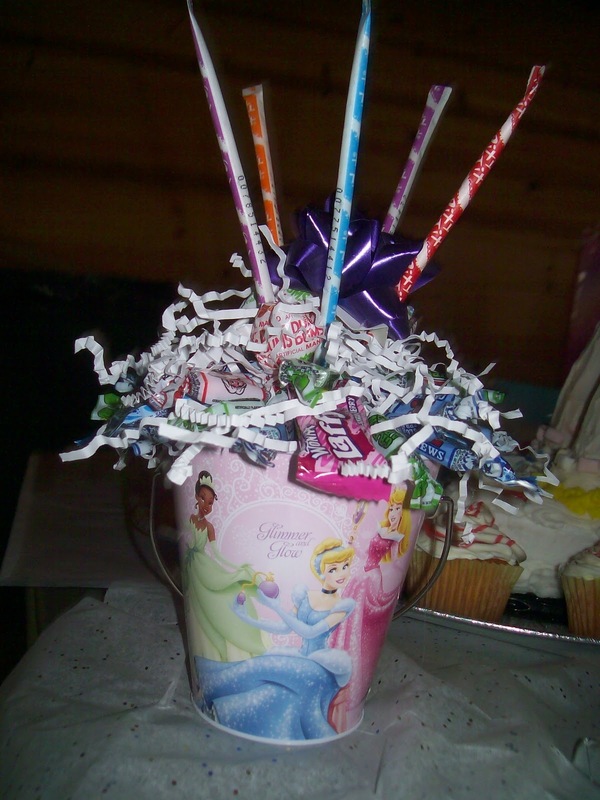 How about home-made hot cocoa mix in a cute jar, or what about FUN flavored popcorn! The possibilities are endless! Here is a recipe that Crafty G-Ma recommended from one of her favorite cookbooks, the Park Way Gals Homemakers cookbook (a small town ND cookbook), (I remember as a child a canister full of hot cocoa and it was the BEST!). Mix thoroughly and store in a tightly covered container. Use 1/4 cup of this dry mix to a cup of hot water. Recipe makes 14 2/3 cups dry mix. A couple years ago I covered the outside of a white shoebox with photos, song lyrics, love poems, Bible verses and significant dates to DH and I. Then I covered it with clear packaging tape. It's his memory box. It sits on a shelf in our closet and he'll pull it out once in a while to put little lovelies from me in it--cards, ticket stubs, photos, etc. The best part at the time was the price; free.